Doner-kebab literally “rotating grilled meat,” is a Turkish dish made of meat or chicken cooked on a vertical spit, then sliced into thin pieces and served wrapped in lavash (tortilla or pita bread) with vegetables and salad. There are many variations of Doner-kebab, one of them being a homemade version. Preparing the beef and chicken. Season the beef and chicken with salt and pepper. Heat two skillets, one for the beef, the other for the chicken. 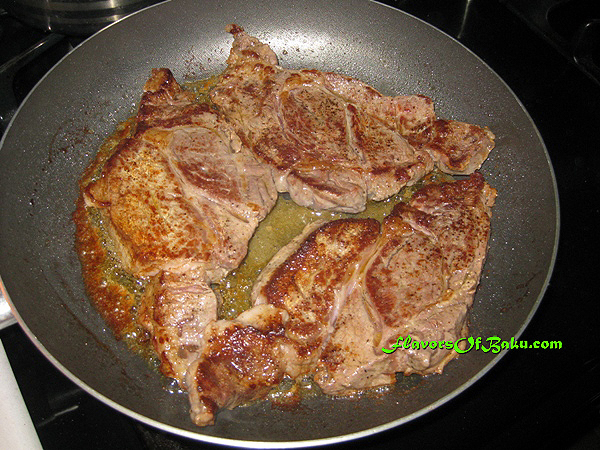 Add one tablespoon of butter on each of them and fry the beef and chicken separately on both sides over medium-high heat until they are done. Leave them in their frying pans for about 1-2 minutes. 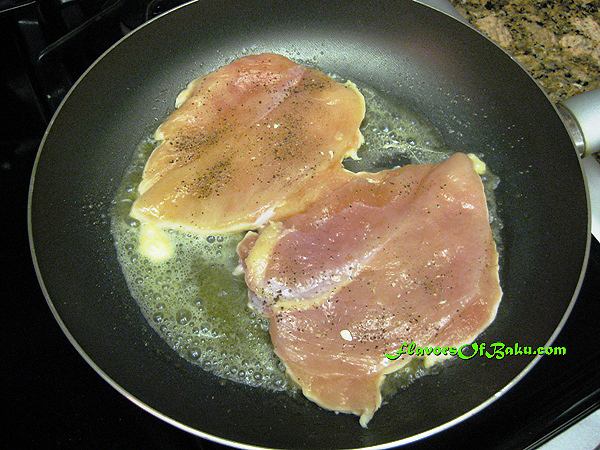 Then take them out of their skillets, place them on cutting board, and slice with a sharp knife into long, thin pieces. 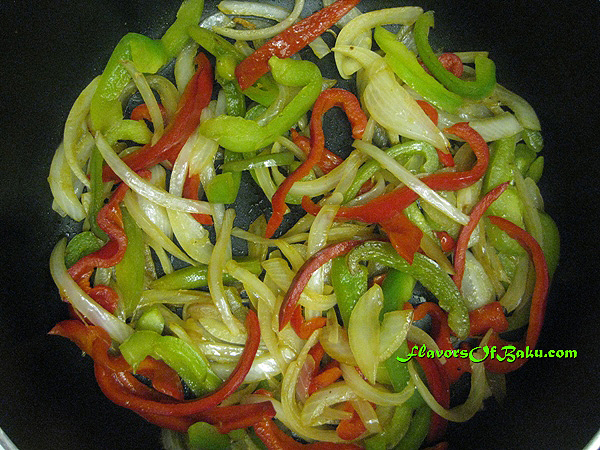 Slice the bell peppers and onion into half circles and mix them. Place half of the bell pepper and onion mixture into the skillet with the beef, and the other half into the skillet with the chicken. 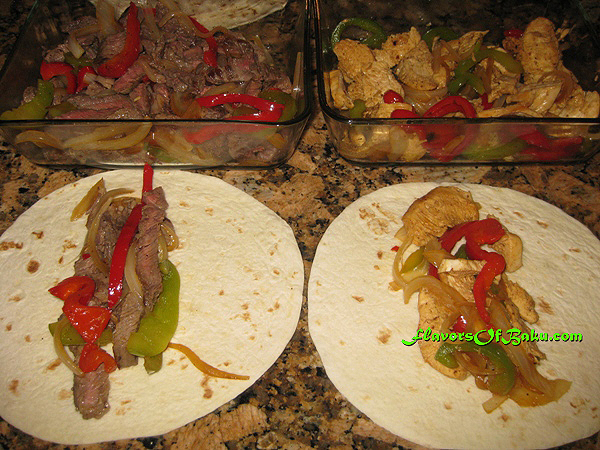 Steam them both for about 10 minutes until the peppers and onion soften. Preparing the lavash in advance. For this dish, you can either use store-bought lavash (tortilla), or make it yourself. In a large bowl, mix together the flour, the baking powder, and salt. Afterward, add the oil and water. If needed, add more water or flour and knead the dough until it is soft and doesn’t stick to your hands. Cover the dough with plastic wrap and let it rest for 10-15 minutes. While it rests, the dough will absorb the liquid into the flour and make lavash softer after it’s cooked. Separate the dough into small, golf-sized balls and knead them. Before rolling out the balls into lavash, let them rest for 10 minutes. This will make them easier to roll and shape. Roll out the balls into thin circles approximately 2 mm thick. Heat a skillet over medium-high heat. Place the rolled dough on the skillet and cook it until it begins to puff up with air pockets, then turn it carefully. Each side should cook for about 30 seconds. Then place each lavash on a plate lined with a kitchen or paper towel. Once they cool down, place them in a plastic bag. Mix the vegetables with the sliced beef and chicken. 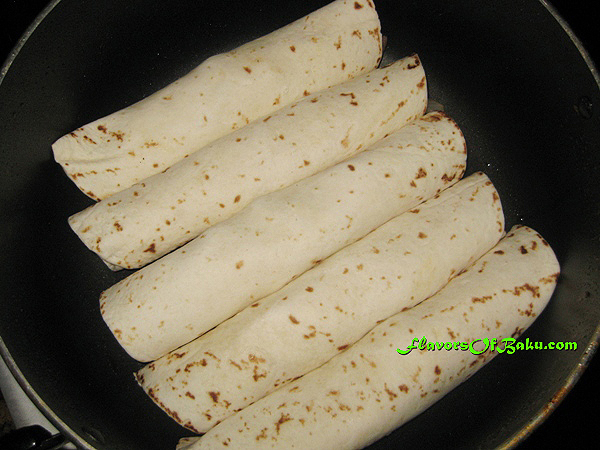 Place about two tablespoons of the mixture on a lavash (tortilla) and wrap it. 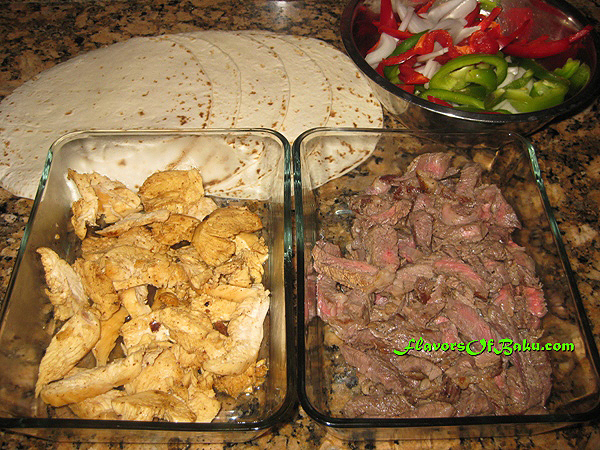 Preheat a skillet on medium-high heat, place the wrapped Doner on it and cook it lightly it on both sides. 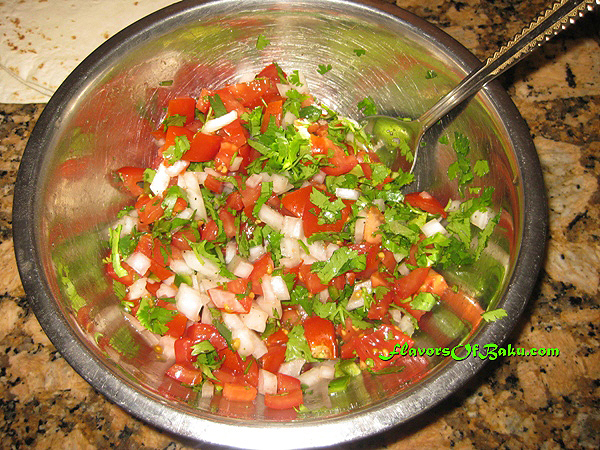 For the salad, finely chop the tomatoes, cucumbers, the onion, and cilantro (you can also add pickled cucumber to taste), season with salt and pepper, and stir. 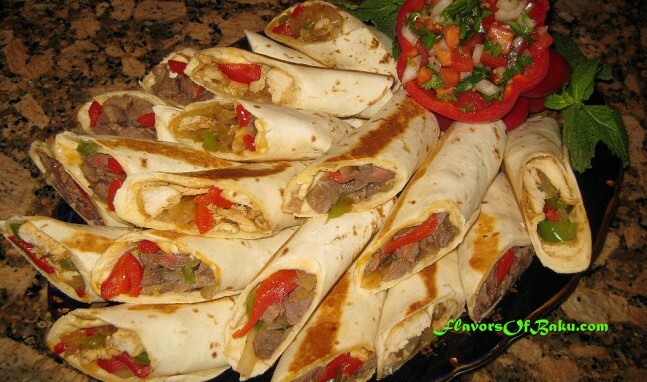 Serve Doner-Kebab hot or warm with salad.